China is gearing up to launch two astronauts on a month-long expedition to the country’s new orbiting space lab module Sunday. 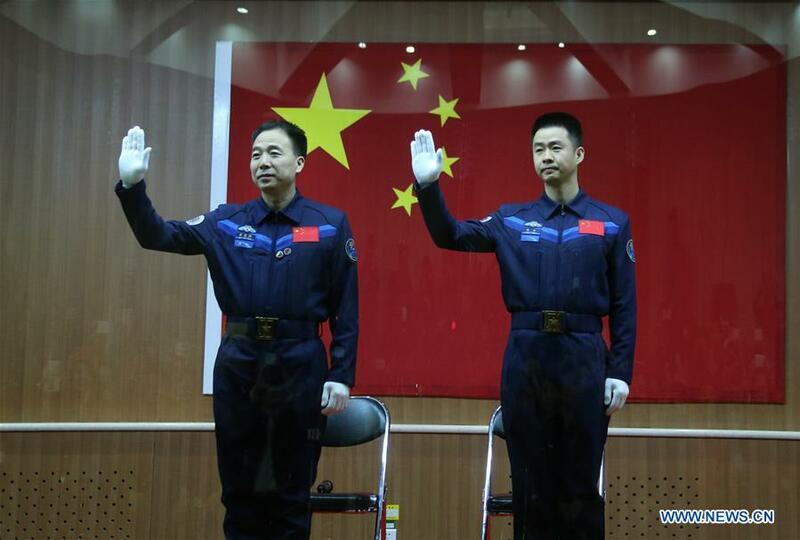 Officials lifted a news blackout on the Shenzhou 11 mission Saturday, revealing the identities of the astronauts and announcing the space capsule is set for liftoff from the Jiuquan space center at 2330 GMT (7:30 p.m. EDT) Sunday to kick off China’s sixth piloted spaceflight. The Shenzhou 11 capsule is awaiting blastoff on top of a Long March 2F rocket, and Chinese technicians were scheduled to begin fueling the launcher late Saturday. The launch is timed for 7:30 a.m. Beijing time Monday, when the orbital path of China’s Tiangong 2 space lab passes over Jiuquan, a military-run space center in northwestern China’s Inner Mongolia region, a sparsely-populated stretch of the Gobi desert. Assuming a smooth ascent into orbit Sunday, the Shenzhou 11 spacecraft should complete an automated docking with Tiangong 2 some time Tuesday, beginning a 30-day stay aboard the research module by commander Jing Haipeng and flight engineer Chen Dong. Counting the transit times between Earth and Tiangong 2, the flight should last 33 days. That is more than twice as long as China’s longest piloted spaceflight to date, the 14-day Shenzhou 10 mission in June 2013, which was also the country’s last crewed space mission. Jing is making his third trip into orbit after flying on the Shenzhou 7 and 9 missions in 2008 and 2012, logging more than 15 days in space. The Chinese military pilot will turn 50 during the Shenzhou 11 flight and become China’s most experienced astronaut by the time he lands. Speaking to Chinese media early Sunday, Jing said it is a “great honor” to be the first Chinese astronaut to fly in space three times. He was selected in the first class of Chinese astronauts in 1998. His crewmate is Chen Dong, a 37-year-old pilot in the Chinese Air Force making his first voyage into space. He said Jing was like a “big brother” who helped him prepare for the trip. Chen said the schedule for the 33-day Shenzhou 11 mission is “very tight” with experiments and technological demonstrations. Once Shenzhou 11 links up with Tiangong 2, the two spacecraft will form a complex more than 60 feet (18 meters) long, a miniature space station that will provide living quarters, life support and experiments for the astronauts. A small microsatellite named Banxing 2 stowed aboard Tiangong 2 will fly near the space lab in orbit and collect exterior imagery. Built by the Shanghai Academy of Spaceflight Technology, Banxing 2 will loiter near Tiangong 2 using an ammonia propulsion system for fine maneuvers while a 25-megapixel camera takes pictures of Shenzhou 11’s docking with the space lab. Tiangong 2 is China’s second human-rated research module, following the similar Tiangong 1 spacecraft launched in 2011. The new spacecraft features several upgrades, including a robotic arm and refueling systems to test out procedures for China’s planned space station, which is due to be operational by 2022. Tiangong 1 is no longer operational, and it is expected to make an uncontrolled re-entry into Earth’s atmosphere in late 2017. Two Shenzhou crews visited Tiangong 1, including China’s most recent human spaceflight in June 2013. She said Tiangong 2 is ready for docking with Shenzhou 11 after raising its orbit to the planned link-up altitude of 244 miles (393 kilometers). 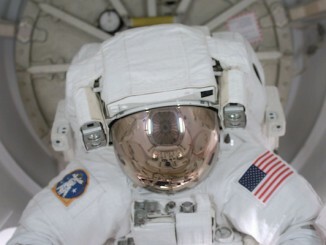 Medical researchers plan to monitor how the crew’s bodies respond to microgravity after a month in orbit. Wu said the technical parameters of the Shenzhou 11 spacecraft are nearly identical to previous Shenzhou missions, but ground teams improved techniques for loading cargo into the capsule to fit more supplies for the longer-duration flight. Chinese engineers designed exercise equipment — a bicycle ergometer and treadmill — to put inside Tiangong 2 to help the astronauts counteract the effects of zero gravity, Wu said. 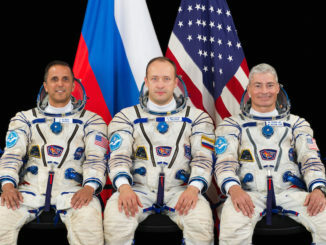 A new wide-band communications system will help the astronauts stay in touch with ground controllers and their families with voice connections, video links and data transmissions. “For instance, on this flight the astronauts will conduct an ultrasound inspection, and the ground can inspect the astronauts’ cardio-pulmoanry function in real-time,” Wu said. “They will also participate in many science experiments, such as the replacement of space material production samples, and carry out space plant cultivation experiments. “They are also going to carry out typical on-orbit repair experiments and verify the synergy of humans and machines,” Wu said. After the departure of the Shenzhou 11 crew in November, Chinese engineers will launch a robotic resupply and refueling freighter to dock with Tiangong 2 in April 2017. Named Tianzhou 1, the cargo carrier will blast off on China’s Long March 7 rocket, which made its maiden test flight in June. The Tianzhou 1 demo flight will test the cargo ship’s ability to deliver food, provisions, experiments and rocket fuel to replenish stores aboard Tiangong 2, and eventually service the larger space station in the 2020s. 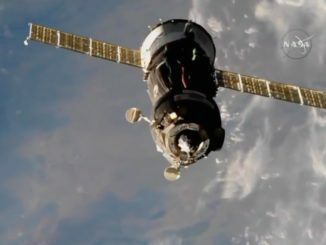 The supply ship will have a similar role to the Progress, Dragon, Cygnus and HTV cargo vehicles flying to the International Space Station. China will launch the core module of the space station as soon as 2018 on a Long March 5 rocket, a heavy-lift booster scheduled for its maiden test flight next month.